The director of the National Security Agency wants you to trust his people. The NSA needs to regain the trust of U.S. residents and the country’s telecom and Internet companies, General Keith Alexander said Wednesday, following recent media leaks about massive data collection and surveillance operations. In addition to its surveillance role, the NSA also has responsibility to protect the U.S. against cyberattacks, and the agency needs cooperation and trust to accomplish its cybersecurity mission, Alexander said in a speech at the Telecommunications Industry Association’s annual conference. The media reports, based on leaks from former NSA contractor Edward Snowden, has hurt a foundation of trust between the NSA and U.S. businesses, the NSA’s director said. Alexander defended the data collection and surveillance programs as necessary to protect the U.S. against terrorism. 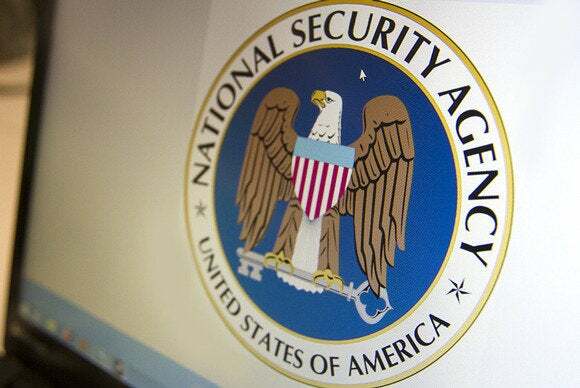 In a recent conversation with a U.S. CEO, the executive had the impression that the NSA was conducting surveillance that would be illegal and “we’d probably be in jail,” Alexander said. But that’s not the case, he said, describing the NSA’s collection of U.S. phone records as a “limited” program, with the phone records database queried less than 300 times last year. The debate surrounding the NSA surveillance programs is holding up a needed discussion about new cybersecurity legislation, Alexander told the crowd. While the NSA is monitoring telecom and Internet communications using court orders, it also wants companies to share more complete cyberthreat information. Private companies worried about privacy lawsuits want new congressional protections before sharing that information. However, questions about the NSA surveillance programs have distracted from that debate, Alexander said. Some of the same civil liberties and privacy groups that have protested the NSA surveillance programs have opposed an information-sharing bill, the Cyber Intelligence Sharing and Protection Act (CISPA), saying it would place few limits on the type of personal information businesses could share with the U.S. government. The House of Representatives voted to approve CISPA in April, but the bill seems to lack majority support in the Senate. Alexander also encouraged attendees to come to the NSA with ideas on how to better conduct surveillance while protecting privacy. “If you’ve got a better way to do it, put in on the table,” he said. Alexander, who took no questions from the audience, said U.S. residents need to understand what the NSA is doing with the data it collects, not what it “could” be doing with it. Most of the media reporting on the Snowden leaks is “sensationalized and inflamed” with a focus on what the agency could be doing with the data, he said.